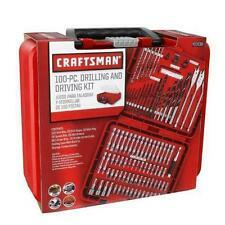 1 x 654pcs Tool Set. 2 adjustable pull rod/handle level. 1 bit extension bar. 1 6"Joint plier. 1 240mm water pump plier. 9 combination wrench: 8-9-10-11-12-13-14-15-17mm. 2 glue stick. Great tool set and to be the most useful & helpful. 6063 aluminum body, S2 alloy steel screw bits, anti-dust and comfortable to hold in hand. - Rotate speed in 150r/min, safe and high effect. I will solve the problem for you within 24 hours. Service policy. 1 x Deburring External Chamfer Tool. Simple operation, using the lowest speed on the drill bit, and then slightly applying pressure to remove the burr. Effective on Stainless Steel, Hardened Steel, Mild Steel, Copper, Brass, Aluminum, Fiberglass, Wood, Plastic. Screwdriver Bits Model Full set of 24 batch head, complete specifications, can be adapted to work in many different fields. The handle in the aviation alloy material manufacture,light and durable,the tail adopts the precision bearing design,flexible and easy to use. Hss Drill Bit Set For Wood, Plastic And Aluminum. Material :High Speed Steel with Titanium coated. hope understand. Can not use for Stainless Steel Material. Detail Image. Canada, United Kingdom, Austrilia, France, Germany, Spain, Ireland, Italy, Others. Simply insert the screwdriver bit into the Magnetic Ring and the screw can be easily picked up. The Magnetic Pick Up Tool would not magnetize a screwdriver or the screw. Magnetic Ring only, other accessories demo in the picture are not included! Each extractor is specifically engineered for speedy grab-it and easy out broken screw. 1 Set x Screw Extractor. Removes any stripped screw in 10 seconds or less! Made of superior high speed steel, high hardness and anti-corrosion. New HSS Steel Large Step Cone Drill Titanium Bit Set Hole Cutter. Two flute design provides faster, smoother and cleaner cuts. With the Titanium coated to reduce friction and heat. brass, wood, plastic,copper, fibreglass and PVC etc. 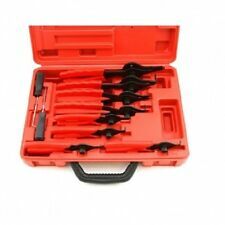 25 Piece combination spanner set. Sizes: 6mm, 7mm, 8mm, 9mm, 10mm,11mm, 12mm,13mm, 14mm, 15mm, 16mm, 17mm, 18mm, 19mm, 20mm, 21mm, 22mm, 23mm, 24mm, 25mm, 26mm, 27mm, 28mm, 30mm, and 32mm. Hardened & tempered. Caliper Type: Divider Calipers. Can be used as marking gauge for parallel lines. Our goal is. Material: Carbon Steel--. 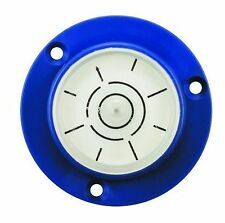 Suitable for butterfly screw cap, hexagonal screw cap, square screw cap, eyebolt screw cap, hook screw cap, lag screw, square head screw cap, etc. Can be applied automotive industry,houshold maintence,maufacturing industry ,construction and other industries. Dewalt DCB200 20V max and Milwaukee 18V Battery Adapter convert to makita 18V tool usage. Function as : Replace 18 volt XRP MAKITA BL1830 BL1840 BL1850 BL1860 battery. It can be of plastic, wood, aluminum and other materials for cutting. With cutting fast incision formation and so on. 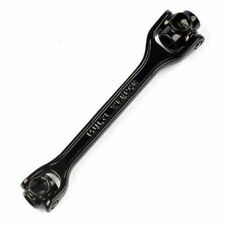 Connecting rod 1: 3.175mm. Whether you need to smooth the process of plastering the bedroom, make installing air conditioning a breeze, or illuminate the possibilities for new living room lights, the correct home improvement tools are essential. A sturdy ladder ensures no task is beyond your reach, and a tool belt helps get the job done faster by keeping necessary equipment close at hand. 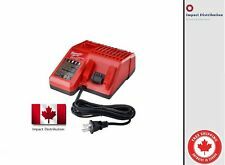 There is a vast selection of new and used hand tools, power tools, and air tools on eBay that are suitable for everything from assembling furniture to fixing leaky pipes. In the garage, freestanding and rolling tool boxes keep your workspace organized, and, if you use power tools, check out the safety gear first. 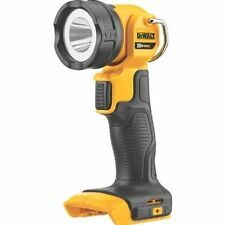 If you are moving into your first home, then you need the basics, such as flashlights, hammers, and screwdrivers. Experienced DIY enthusiasts and professionals can explore the selection of welding equipment, soldering tools, and air compressors. No matter the task, you can find the perfect tool for the job on eBay. 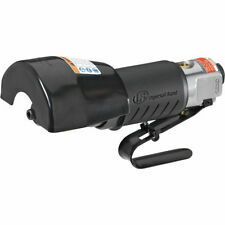 Search on eBay for all kinds of power tools to keep your projects running smoothly. For car enthusiasts, there are battery chargers, buffers, and polishers. 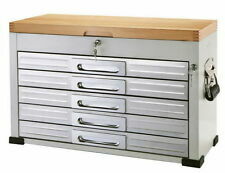 For wood workers, there are routers, router bits, router tables, drill presses, and power sanders. Pump up your productivity with air-powered tools. Power washers, drills, grinders, and wrenches ensure you get the job done fast. If you are building or repairing a house, then check out air-powered hammers, nailers, and paint sprayers. Quality tools come with trusted names, from Craftsman to DeWalt and Makita to Milwaukee. Craftspeople, contractors, and DIY enthusiasts love the selection of brand names on eBay. Discover quality used tools, including manufacturer-refurbished and seller-refurbished equipment. If you want more information about tools and how to use them, then check out one of the Tool Buying Guides.